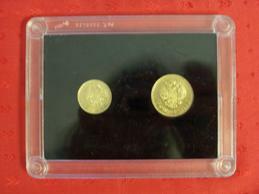 You are looking at a unique set of 2 russian imperial gold coins. 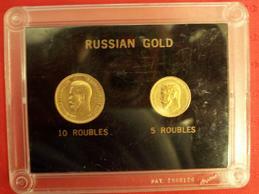 The set contains (1) 10 rouble - 1899 and (1) 5 Rouble - 1898. Great condition for collectible coins over a century old.The picture does not reflect the beauty of the coins.